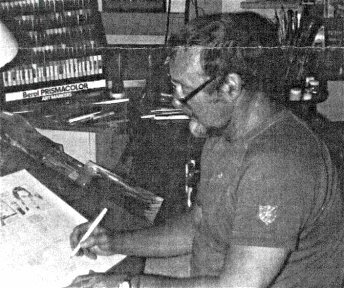 Gray Morrow was born in Fort Wayne, Indiana, and made his professional debut with a Chicago advertising agency. He then worked for Timely, where the unpublished 'Conan - The Elephant Tower'. While serving in Korea he discovered oriental art and became the main pin-up artist for his company. Back in civil life, he was introduced to Cracked magazine by Angelo Torres in 1958. Morrow eventually focused on illustration and did many illustrations for Galaxy, IF, and other digests in the science-fiction genre. 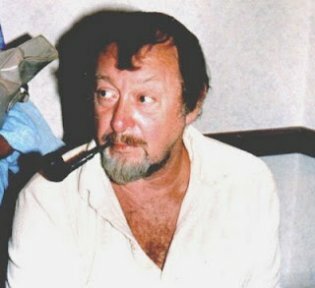 He also did many paperback cover paintings and independent comics projects. He returned to comics in 1964, when he became one of the regular artists for the Warren magazines, Creepy, Eerie and Blazing Combat. Throughout the 1970s and early 1980s he worked for numerous companies, including DC, Marvel and Archie Publications. He was also hired to assist on syndicated strips like Rip Kirby (by John Prentice), Prince Valiant (by Hal Foster), Big Ben Bolt (by John Cullen Murphy), Secret Agent X-9 (by Al Williamson) and Friday Foster (by Jorge Longaron). 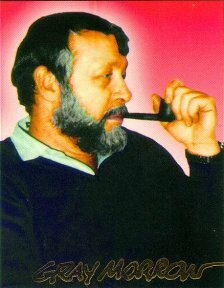 He took over the Buck Roger' strip in 1979 and illustrated the Tarzan Sunday comic strip from 1983 to 2001.